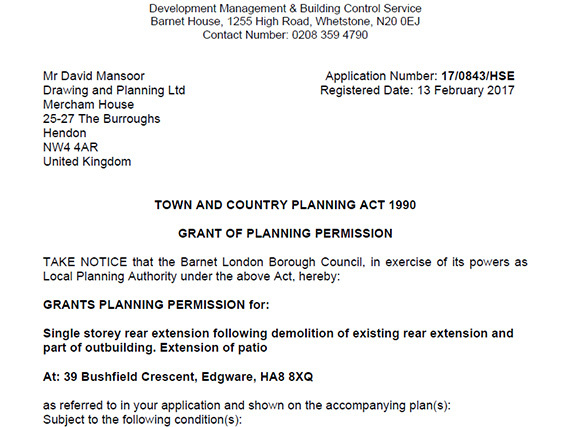 Drawing and Planning have successfully secured a Planning Permission for a single storey rear extension following demolition of existing rear extension and part of outbuilding. Extension of patio. PROJECT Single storey rear extension following demolition of existing rear extension and part of outbuilding. Extension of patio.